Gulf electrical engineering COMPANIES (GEE) Health, Safety and Environment policy expresses the view of the GEE management towards the HSE, which considers the Health, safety and Environment of all personnel as important factor and recognize them as very essential for welfare and morale of personnel as also for contributing to company's Growth. Safety is our first priority and concern for each projects. " Gulf electrical" has completed many fast track project, where several safety awards were received for performing LTI free man-hours to international standard records. The management ensures the responsibility to ensure that the working conditions in the worksite and site office yards shall be safe for the employees, equipment and for the environment and shall take measures to control the injury to its personal damage to its property and to protect its Environment so as to achieve the target of zero accident and no loss to property or otherwise within or around the work area. work and equipment that are safe and without risks to health and Environment. Adhere to safety rules and regulations. 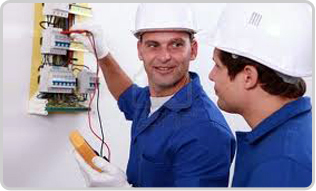 Co-operative with company in ensuring the discharge of its duties in all matters related to Health and safety. Take reasonable care for their Health and safety and others as well while performing. Comply with all security and safety arrangements which apply at their workplace and unwarranted incidence & Defects which cause a hazard should be bring back to the notice of immediate superior without delay. 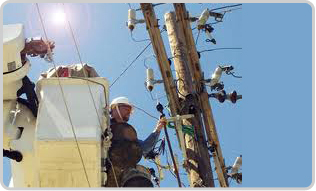 Report to their immediate supervisor about the unsafe practices, acts, injury, and near misses. Ensuring the provision of adequate instruction training and safety by providing safe premises with safe work practices. We ensure that priority will be given to the safety matters, Health and environment. Adapting strict Health, safety and environment policy is our all time motto and simply says it is our breath.